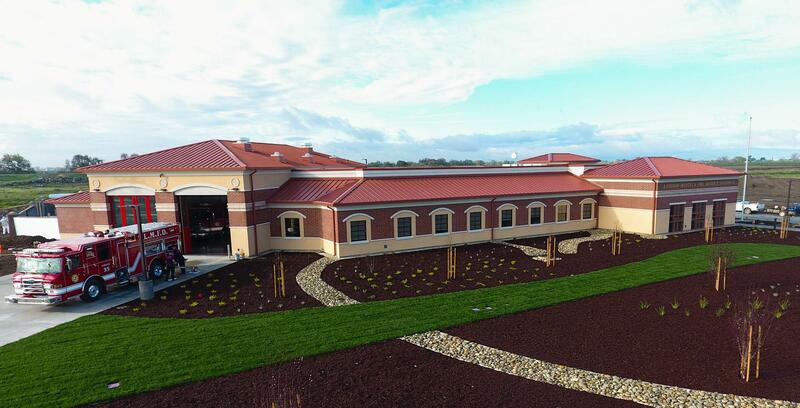 On Sunday, March 31, the Lathrop-Manteca Fire District’s state-of-the-art fire station #35 will open with a traditional Open House for the public! From noon until 4pm, residents of River Islands and all of Lathrop are invited to tour the station and meet Smokey the Bear, who will be visiting for the afternoon. The fire district staff will be on hand to offer tours and answer questions. Refreshments will also be served. For the first time, the community will get to see a meeting room designed and built just for them — a place for clubs, civic organizations and groups like the Neighborhood Watch to meet. Susan Dell’Osso, President of River Islands Development, expressed her excitement about creating “this amazing asset for the entire community.” The developer funded the project upfront to allow for the highest quality of service to be provided to the residents of River Islands, delivered in the appropriate response times required by the Lathrop-Manteca Fire District’s master plan. Fire Chief Gene Neely has been closely involved with each step of the process of designing and building the station. His staff, among the best trained in the region, will continue to provide the best possible service from their new home. RSVP to our Facebook event and let us know if you will be stopping by. See you on Sunday! Fire Station #35 is located at 19050 Golden Valley Parkway Lathrop, CA 95330. It is a new address so Google Maps may direct you to the wrong location. Please follow the driving directions below. – Take River Islands Parkway to Somerston Parkway and turn left (south) onto Somerston Parkway. – Follow Somerston Parkway to the end. – Station 35 Fire Station will be on the right. Follow signs for parking.